When it comes to your kitty you want to provide the best, right? Whether it’s with toys, grooming supplies, health care, treats, and more. And it’s no different when it comes to effective flea treatments. 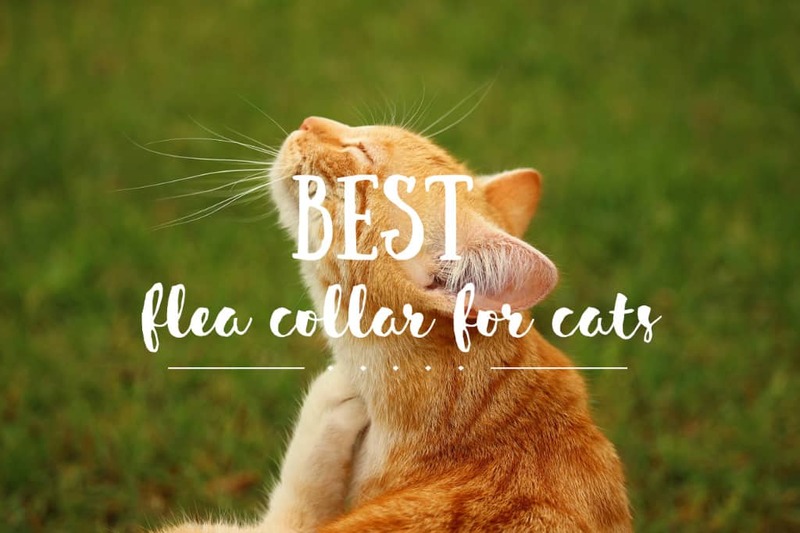 In this article, Paul and I are giving you our selection of the best flea collar for cats! Many pet owners shrug off the idea that their cat or dog may have fleas. They let them scratch away every day without really considering the harm that fleas can do. Here is why fleas are bad and why they can cause harm to both pets and family. Fleas are a nuisance for everyone involved. They are parasites that host on a wide variety of warm-blooded species, including both our pets and us. Their bites create an endless itching sensation. This makes us (and our cats and dogs) scratch, scratch, and scratch some more at the swollen bite mark. Scratching tirelessly can cause further irritation, scabs, and even infection. Many cats and dogs end up becoming allergic to the flea’s saliva, resulting in flea allergy dermatitis. Flea allergy dermatitis is a skin disease that develops after our pets develop an intolerance to the pesky fleas. Cats who develop flea allergy dermatitis may also suffer from cutaneous reactions, further severe allergies, and hair loss. In some of the worst cases, flea bites can cause anemia. These harmful side effects of fleas can also affect humans. Bottom line: Fleas are both extremely annoying and harmful for your cat and your family. They infest your home and will breed there forever until you effectively get rid of them. Fleas will keep coming back. Even if you have given topical treatments to your pets and have vacuumed down your home, fleas can find their way back on your animals, your clothes or shoes, and re-infest your home. This is why it’s so important to get a flea treatment that is both effective and long-lasting. With a flea collar, you don’t have to worry about reapplying topical medicine every 1-3 months. By wearing a flea collar, your cat will be protected from fleas (and ticks) for up to 7-9 months (depending on brand). The money you spend for a flea collar is well worth it in comparison to the money you spend on topical treatments (that are often ineffective). Additionally, with a flea collar, you don’t have to worry about your cat licking off any harmful topical medicine. A flea collar is hassle-free and comfortable for your cat to wear long-term. As with every product that is designed to kill insects, there can be toxic ingredients in flea collars that might be untested or deemed unsafe. This is why it’s very important to check the product thoroughly before using and heed any warnings or potential side effects. Talk to your vet about your concerns, especially if your cat has sensitive skin or has any allergies. When we received Yoda’s Bayer Seresto flea collar (to combat the flea infestation we had in Nepal), the instructions advised to let the collar air out for 2-3 days before putting it on. This is probably due to the toxic residue that is laced on the collar. It can pose as a harmful health risk if used prematurely. Yoda’s Bayer Seresto flea collar is the only reason we were able to get entirely rid of fleas. We also used a natural homemade flea spray for Yoda’s bedding, etc. Yoda had no health issues or allergic reactions when using this product (we still use it today). Though we recommend Bayer Seresto for it’s effectiveness, we cannot 100% guarantee satisfaction for other cats. There are several brands of flea collars for cats available, both in stores and online. But which one is simply the best flea collar for cats? 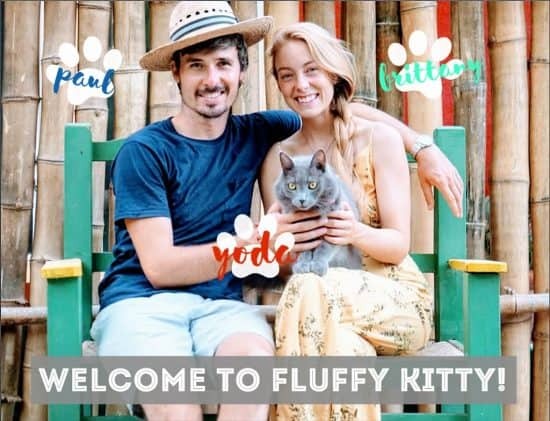 See more below to discover Fluffy Kitty’s proven selection. 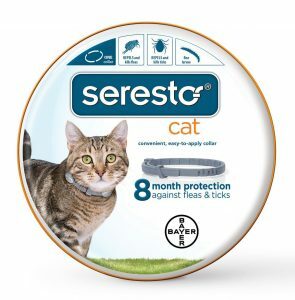 Bayer Seresto flea collar is our proven selection against fleas (eggs, larvae, and adults) and ticks for up to 8 months. It’s odorless and non-greasy, unlike some other competitors. It is vet recommended and is used by many pet owners. Please be careful when using flea collars on your cats. As previously mentioned, though Bayer Seresto worked like a charm for us and Yoda, we cannot guarantee that this product will work for your cat. 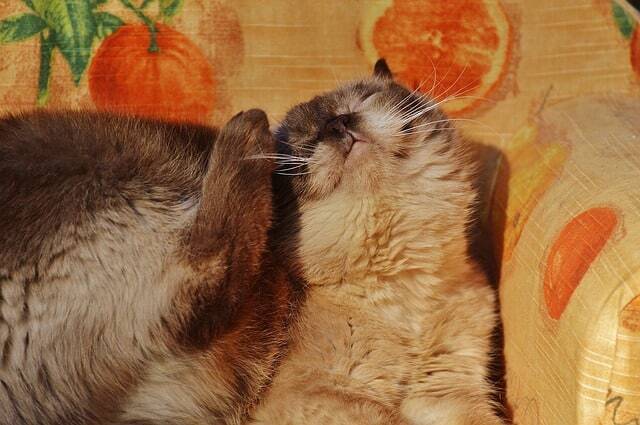 When you apply the collar, observe your cat’s skin hours-days after for potential reactions. Take off immediately if irritation, redness, etc., occurs. Try it and see, but thoroughly read the directions and warnings first! We hope that we were helpful in providing you more information on finding the best flea collar for cats. Out of the flea collars available, we’ve heard the best about Bayer Seresto, but results may vary. Always be conscious and smart when it comes to putting chemicals on your cat! We hope that the Bayer Seresto collar will work for you just as it did for us. Fleas are harmful. Don’t let your pets fend for themselves when it comes to fleas! With a flea collar, you can help your cat be healthier and happier furry companions. 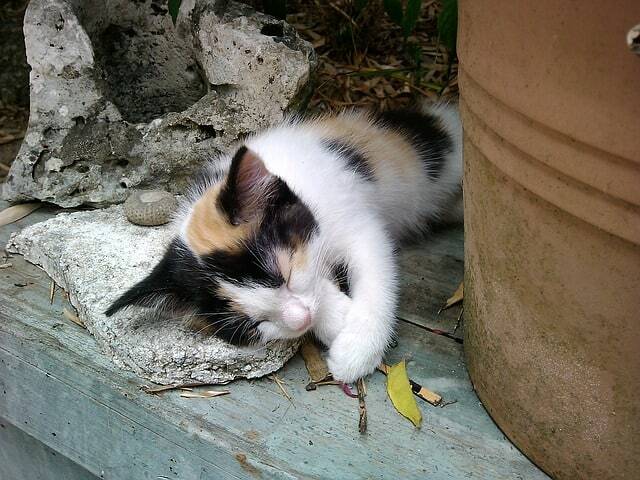 Please share your thoughts and comments with us and the Fluffy Kitty community below! As always, we are happy to hear from our followers. Also, do like and share this article with other pet owners so that they may also know the harmful effects of fleas and the best flea collar to get rid of them! Previous Post Why Does My Cat Have Scabs? First, I appreciate your site & that you’re trying to help pet owners safely & inexpensively keep their animals healthy. I’m going to try the homemade flea remedy immediately! It’d be so awesome if that works! We haven’t flea problems for 5 years, but they’re here with a vengeance this year! Two of my cats are allergic to fleas & the scabby sores are not healing very well, even with antibiotics from the vet. Products to treat the cats & my home are very expensive, but were the only thing that worked last time. I imagine products from the vet, like flea collars, are much safer than they used to be, hope so. I would like to point out that over the counter flea treatments (& wormers) especially flea collars are VERY VERY dangerous & will not get rid of fleas. 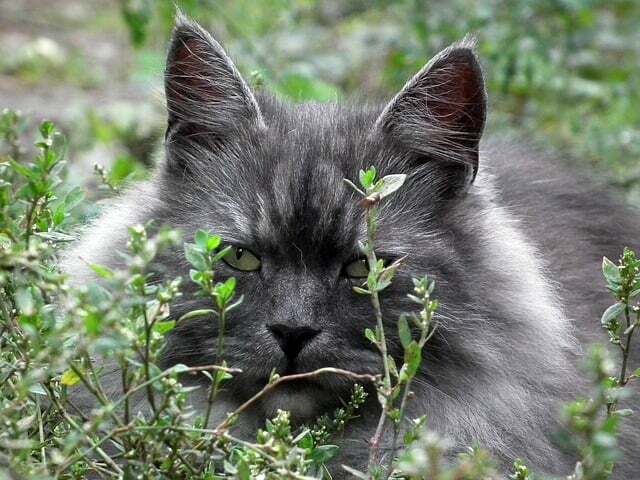 They can kill a cat, especially a younger or older cats, cats in weak condition, it can cause deafness/muteness & disastrous effects to the cats nervous system & many other serious effects.